Amid growing gun violence in B.C. and across Canada — including the recent shootings in Toronto and Fredericton — police chiefs from around the country met to discuss gun control. Amid high-profile gun-related incidents across Canada — including the recent fatal shootings in Toronto and Fredericton — police chiefs from cross the country have decided to form a committee to study the issue. 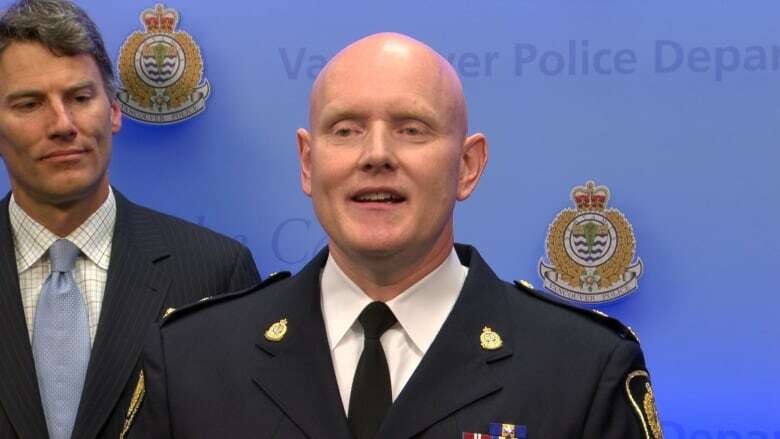 Vancouver's Chief of Police, Adam Palmer, the newly elected president of the Canadian Association of Police Chiefs attended the organization's recent annual meeting in Halifax. The Early Edition host Stephen Quinn spoke with Palmer about the decision to set up a gun violence committee to collect and study data. Gun violence is an issue that resonates both nationally and locally. Why do we need more research rather than direct action? We're seeing a spike in violence all across our country. You've got your traditional organized crime groups like the Hells Angels and others, but what we're seeing is a rise in young, violent street gangs. Young men predominantly who are getting access to firearms — that's all connected to the drug trade — and committing extreme acts of violence in our community, which is of huge concern. There's tons of action being taken in our country. But the rise of violence does cause us to sit back and look at a broader national picture of what we're dealing with. Both Montreal and Toronto mayors have called for stricter gun control this week. Toronto even went as far as to ask the federal government to ban handgun and ammunition sales within the city. Is that a step Vancouver should be looking into? Canada actually has very strict gun laws. There are lots of law-abiding citizens out there who do possess guns for very legitimate purposes. When you look at the steps you have to go through to possess a firearm in Canada, it's actually quite rigorous. Once you do get a license, the actual purchasing, the transportation, the storage … all of that has very strict laws in Canada. Having said that, the government is proposing Bill C-71 which is meant to enhance the existing gun laws we have and the Canadian Association of Police Chiefs does support that. It used to be that a majority of guns that were used to commit crimes were smuggled from the U.S. Now, a lot of the handguns that are being used in crimes are legally obtained guns, but they're being sold to criminal organizations. Why aren't we keeping track of those guns after someone has legally obtained them? That's something that we're going to be looking at with this committee that we're forming. Smuggled from the United States. Firearms stolen from owners who have legitimately obtained a gun. Straw purchases. People are going out and purchasing them legitimately and then selling them to criminals on the black market. Why aren't we keeping track of gun resales? How come a person who owns more than one handgun doesn't have to show proof after five years that they're still in possession of that gun? You do have a provincial firearms officer who is responsible for the licensing of firearms. And your possession license for firearms does have to be renewed every five years. This interview has been edited for clarity; you can listen to the full interview below.